A pair of gun-rights groups announced they filed a lawsuit against Seattle's restrictive gun-storage ordinance on Friday because they say it violates Washington state law. The National Rifle Association and Washington-based Second Amendment Foundation are working together with two Seattle residents in the suit against the city. They say the city's requirement that any guns in a person's residence must be stored in a locked container unless being carried by the owner or other authorized users violates state law. "The City of Seattle has been trying to erode state preemption almost from the moment it was passed back in 1985," Alan Gottlieb, the founder of the Second Amendment Foundation, said. "When the city tried to ban guns from city parks facilities under former mayors Greg Nickels and Mike McGinn, SAF and NRA joined forces with other organizations to stop it, under the state preemption statute. We should not have to repeatedly remind Seattle that they are still part of Washington State and must obey the law." He claimed Seattle is intentionally running afoul of the state's preemption law in order to send a political message. "Seattle seems to think it should be treated differently than any other local government when it comes to firearm regulation," Gottlieb said. "State preemption was adopted more than three decades ago to assure uniformity of gun laws from Ilwaco to the Idaho border. 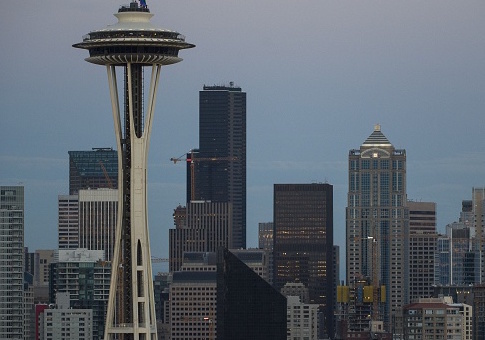 Seattle simply can't break the law to adopt an ordinance as a political statement." The National Rifle Association said the ordinance imposes restrictions on residents that would make it more difficult for them to defend themselves inside their own homes. "Gun safety and storage is a matter of personal responsibility and every person's situation is different. It is unreasonable for the law to impose a one-size-fits-all solution," the group said in a post on its website. "This poorly thought out legislation is without any consideration for personal circumstances. It invades people's homes and forces them to render their firearms useless in a self-defense situation by locking them up. The ordinance would also punish victims of crimes rather than criminals by charging a $1,000 fine for a failure to report lost or stolen firearms within 24 hours. Individuals should not be further victimized after experiencing a burglary or other loss." Seattle mayor Jenny Durkan stood by the ordinance when asked about the suit. "While they go to court—kids go to the hospital," she told KOMO. "We can't prevent every gun death or injury, we can take steps to help prevent tragedies. I am grateful that legal experts who share our commitment to reducing gun violence are standing with us and standing up for safer communities." The NRA said the ordinance will do more to hinder residents' self-defense rights than prevent violence. "In passing the firearm mandate storage ordinance, the City of Seattle ignored Washington's state law to further their anti-gun agenda by targeting the self-defense rights of Seattle residents," the group said. This entry was posted in Issues and tagged 2nd Amendment, Gun Control, Guns, New Gun Laws, NRA, Washington. Bookmark the permalink.